It was the worst loss in Mexican history. A 0-7 drubbing by Chile had killed off a 22-game unbeaten streak, as well as all the confidence built up by it. The most recent result that shocked the footballing world was Brazil’s 1-7 loss to Germany at the 2014 World Cup, the worst home loss Brazil has ever seen. Earlier in that tournament, Spain, reigning champions, were dismantled by the Netherlands, 1-5. In 2010 World Cup qualifying, Argentina was sent home after a 1-6 blasting by Bolivia. A team that had not been to a World Cup since 1994. Now, these results are not to excuse Mexico’s loss, but they are to point out that it isn’t always the end of the world for teams. Argentina has surely moved on from that result, and Mexico will need to do the same. Juan Carlos Osorio surely hurt his reputation after this loss, but it started earlier in the group stage, as well. Osorio moved formations, lineups, even goalkeepers in every match. It appeared as if he was not managing a national team. If Osorio continues with his position, he will seek redemption after such a massacre. Luckily, there is plenty of Mexican talent to try and correct what happened. However, it will be the last straw for Osorio, so he better start reviewing tape…and lots of it. Guillermo Cantu: We’ve decided to continue with the Osorio project. Mexico has its ticket to the 2017 Confederations Cup. A tournament that will be the battle of the 8 best nations from their respective regions. Mexico might, if they’re lucky, get another shot at Chile, since they are both heading to Russia that summer. Mexico and (maybe) Osorio need to get qualification on track, and head into this tournament with a new, humbled confidence. 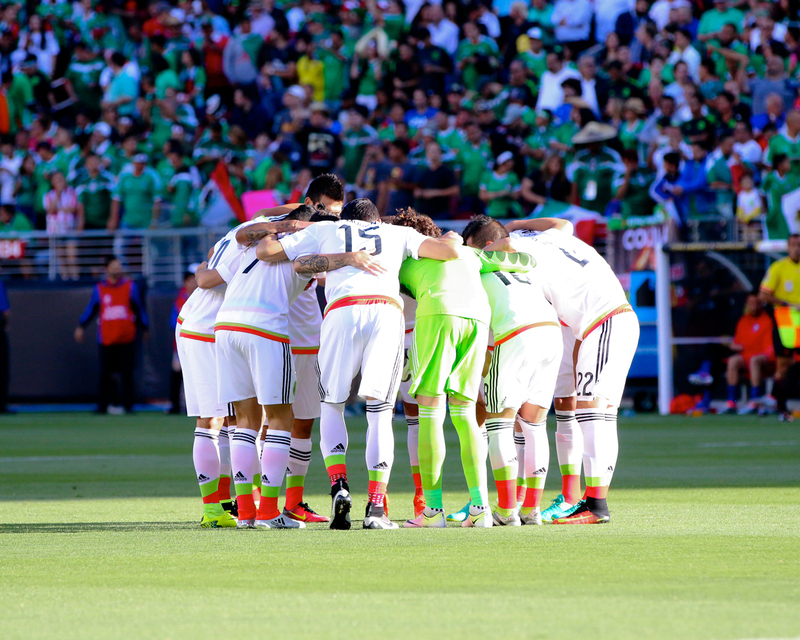 Keep it right here on The Stoppage Time, powered by Azteca Soccer, for more updates on El Tri and all major tournaments. Also, be sure to like us on Facebook and Follow us on Twitter and Instagram.